Advanced Design Technology engineers carried out the complete aerodynamic design of a brand-new centrifugal compressor for a chiller using the refrigerant R1233zd(E). 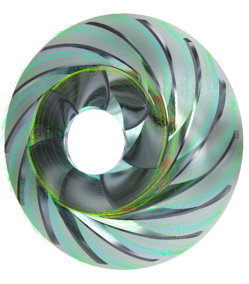 The customer was a leading manufacturer of high-speed rotating machines and required a detailed design that was able to operate over a wide range of challenging conditions. 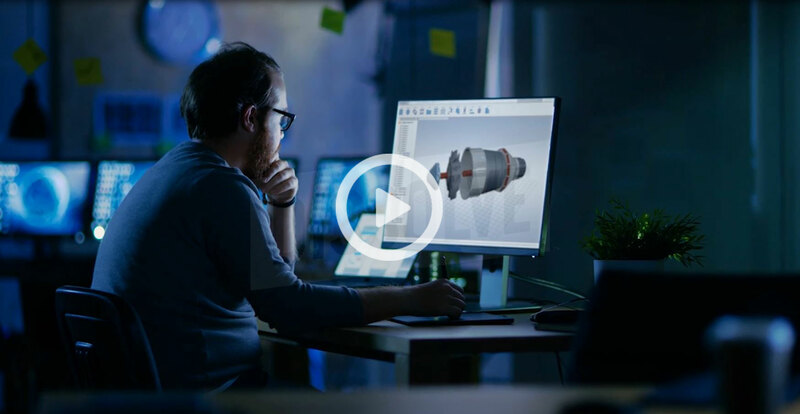 Ultimately the final design needed to harness the full power of TURBOdesign Suite, including 1D preliminary analysis code TURBOdesign Pre, 3D Inverse Design code TURBOdesign1 and TURBOdesign Volute. The key design targets for the work were for a very wide operating map and high efficiency. The deliverables were optimized design geometries of all the components of the compressor stage, composed of the compressor impeller, a vaneless/vaned diffuser and an outlet volute. Using TURBOdesign Suite, ADT engineers were able to deliver on all targets on stage operating range and stage efficiency targets were all met or exceeded.